Dirk Auer, former research fellow and current Ph.D. candidate at the University of Liège Competition and Innovation Institute will join ICLE’s resident staff as Senior Fellow in Law & Economics. Dirk’s Ph.D. focuses on the “Innovation Defense” in European competition law and US antitrust law. Dirk completed LLMs at the University of Chicago Law School and the University of Liège. He also worked in the competition practices of two international law firms. Pinar Akman, Director of the Centre for Business Law and Practice and Professor of Law at the University of Leeds School of Law, has joined ICLE as an Academic Affiliate. Pinar is the author of The Concept of Abuse in EU Competition Law: Law and Economics Approaches (Hart Publishing, Oxford, 2012). She previously held a Chair University of East Anglia Law School. Pinar’s peer-reviewed articles have been published in prestigious journals such as the Oxford Journal of Legal Studies, Modern Law Review, European Law Review, Journal of Business Law, and the Journal of Law & Society. In 2017, she was awarded a Philip Leverhulme Prize (£100,000) which recognizes “the achievement of outstanding researchers whose work has already attracted international recognition and whose future career is exceptionally promising”. Konstantinos Stylianou, Assistant Professor in Competition Law and Regulation, and Deputy Director of the Centre for Business Law and Practice at the University of Leeds School of Law, has joined ICLE as an Academic Affiliate. His areas of focus are communications networks, digital markets, blockchain, and high-tech industries in general. Before joining the University of Leeds, Konstantinos was a Fellow at the Center for Technology and Society at FGV Direito Rio (Brazil), where he was involved in the public consultation and drafting of the local net neutrality rules. Before that he worked and/or interned at the Council of Europe, the U.S. Federal Communications Commission, the Berkman Center at Harvard, and the European Platform for Regulatory Authorities. Konstantinos holds an S.J.D. from the University of Pennsylvania, an LL.M. from Harvard, and a Bachelor’s and Master’s from Aristotle University (Greece). Frédéric Marty, Senior Research Fellow at the French National Centre for Scientific (CNRS) and affiliate researcher of the French Economic Observatory (OFCE – Sciences Po. Paris) has joined ICLE as an Academic Affiliate. Frédéric is a member of the EPPP Research Group of the Sorbonne Graduate Business School (IAE Paris Panthéon-Sorbonne). He graduated in economics and management from the Ecole Normale Supérieure of Cachan (Ph.D. in economics). He has been a member of the Group of Research in Law, Economics and Management (GREDEG), a joint laboratory of the CNRS and of the Université Côte d’Azur, since 2003. His publications and teachings deal with law and economics with a focus on procurement and competition policy. Frédéric also published a book on law and economics with Thierry Kirat (Economie du Droit et de la Réglementation, Gualino, 2007). His research fields encompass unilateral abuses of dominance, state aids’ regulation, and the history of competition policies. Aurelien Portuese, Senior Lecturer in Law at Leicester De Montfort Law School, has joined ICLE as an Academic Affiliate. Aurelien teaches EU Law, International Sales Law, Commercial Law, English and European Legal Contexts, and is acting as supervisor of students at the Legal Advice Centre. 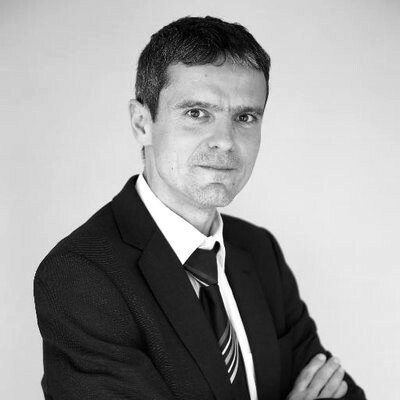 Aurelien is the author of academic journal articles and book chapters on EU law, Law & Economics, and Competition/Antitrust law. 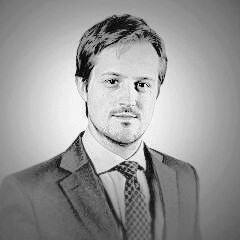 A Visiting Lecturer at King’s College London, Aurelien has was a Visiting Scholar at the Centre for Competition Law & Policy of the University of Oxford in 2017. Previously, Aurelien taught at Sciences Po. Paris, the University of Westminster (London), the University of Opale Coast (‘ULCO‘) at Boulogne-sur-Mer, and the Conservatoire National des Arts et Métiers of Paris. Peter Whelan, Professor of Law at the School of Law, University of Leeds, and Deputy Director of the Centre for Criminal Justice Studies, has joined ICLE as an Academic Affiliate. Peter has a Ph.D. in Law from St John’s College, University of Cambridge. A qualified US Attorney-at-Law, Peter is an expert in competition (antitrust) law and criminal law. He has published widely in prestigious law journals, including Oxford Journal of Legal Studies, Cambridge Law Journal, and Modern Law Review. To date, Peter has presented his research in almost 30 countries. He was recently appointed as an International Expert by the Finnish Competition and Consumer Authority. He has provided training in EU competition law to the Romanian judiciary and has delivered lectures on his research at the National Economic Prosecutor’s Office of Chile, the Competition Tribunal of Chile and the Peruvian competition authority (INDECOPI). Peter has been a Visiting Professor at the Institute of International Trade and Law in Moscow, Russia and is a Non-Governmental Advisor to the International Competition Network, which comprises over 130 of the world’s competition authorities.